Mickey gives a lesson in theater jargon. Our spirit guides ask us an important question. It's 1977, and Wendy and Eric are both collecting signatures to get on the ballot for student council. In the process, they form a bond. 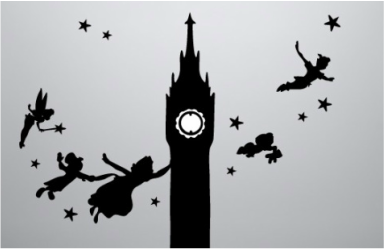 Peter Pan takes Wendy, Michael and John on a magical adventure. The caterpillar asks Alice a most difficult question. Sara inspires her friends to imagine what might be. Ram Dass shows how one small act of kindness can be far-reaching.